Why Visit An Event Taking Place In…Bogotá? Home>All News>Why Visit An Event Taking Place In…Bogotá? Bogotá is the capital and largest city in Colombia. A melting pot, it is diverse and multicultural, with a blend of modern and colonial architecture. 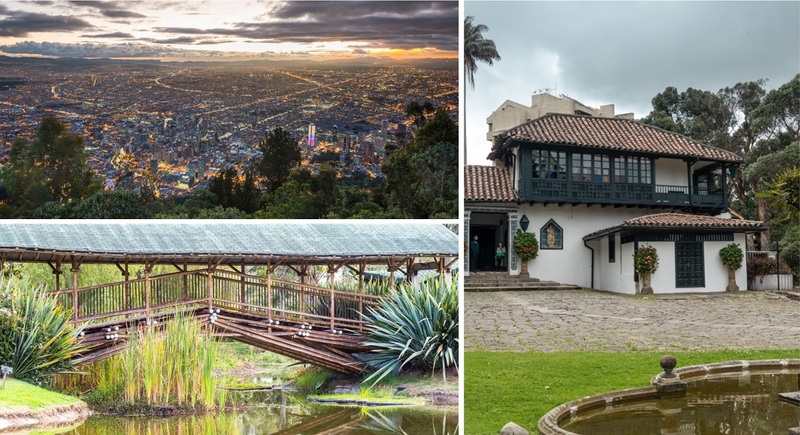 The predominant colours in Bogotá are the green of the city’s parks and the mountains overlooking the sanctuaries of Monserrate and Guadalupe, as well as the rich red of its many brick buildings. In 2018, the city won the Iceberg Latin America Award for the legacy of the events industry with One Young World 2017 and the Special Recognition Award for its important contribution to the economic and social impact during the 16th World Summit of Nobel Peace Laureates at the World Meetings Forum.
" The landscape of Bogotá is spectacular. Apart from the many outdoor spaces, travellers find it an ideal place to do business and explore history, food, culture, and local customs.	" 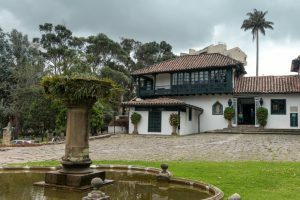 A unique atmosphere complemented by Bogotá’s one-of-a-kind personality and its scenic buildings are strong points which are complemented by a lavish landscape and traditions. 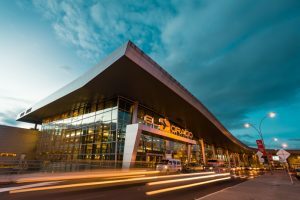 Amidst legends like El Dorado, a trip to the Colombian capital is an experience to remember. 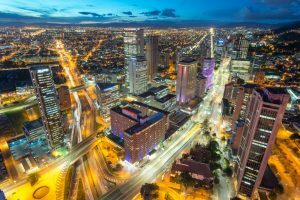 Bogotá offers its foreign and national visitors a wide and varied range of accommodation options, from international hotel chains to charming and comfortable boutique properties. The city concentrates the largest hotel offer in the country, with more than 17,000 rooms available with three, four and five stars. The landscape of Bogotá is spectacular. Apart from the many outdoor spaces, travellers find it an ideal place to do business and explore history, food, culture, and local customs. In Bogotá, visitors can enjoy the Gold Museum, which houses an important collection of pre-Hispanic objects. You can also experience the city’s juxtaposition of history and modernity, the local and the cosmopolitan. It is a great destination for both high-end shopping or simply savouring a fresh fruit in Paloquemao Square. Bogotá is a major dining destination thanks to the variety of haute cuisine restaurants offering both Colombian and international food. Pastries such as almojábanas and pandeyucas, ajiaco (a traditional highlands soup), and fried or grilled pork are some of the unique flavours of the region. One of the main attractions in Bogotá for kids is Maloka: an interactive museum which fosters a passion for lifelong learning, helping big and small alike to understand the ties between science, technology, innovation, and the society. With a city slogan “Bogotá, 2,600 closer to the stars” the city could not be a great place for kids without a planetarium! It will inspire through experiences involving art, science, and technology. Or visit Divercity! A city of scale, where children can assume various roles between trades and professions while learning how the real world works. Any child can make its dreams come true becoming a doctor, fireman, pilot, factory worker, or anything else. Around the city, you can find a tourist information network that consists of a series of free, bilingual service points. These info desks have fixed and mobile locations for the convenience of all travellers, holding a wide variety of promotional materials, including maps, magazines, brochures and more. For more information on Bogotá, visit www.colombia.travel for more resources and ideas.